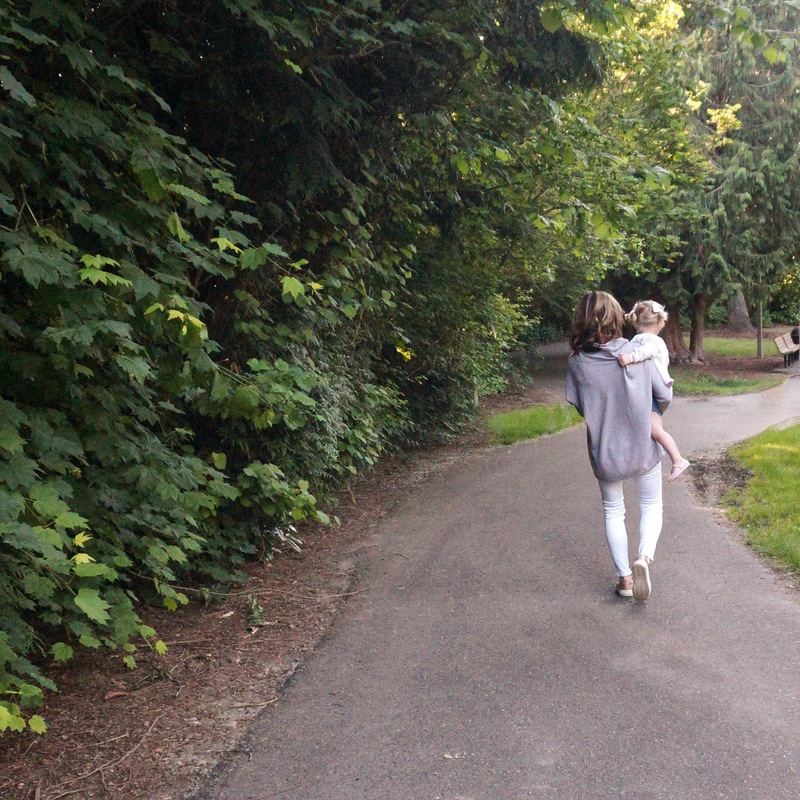 Last week I shared how Abby and I spend our days during the week, which you can read here and or if you what to learn how to take betterphotos at home with your kids. Both are mentioned. So, this week, I’m especially excited to talk about everyone’s favorite topic, the weekend! I found one simple change helped me make my favorite days more enjoyable and productive. You’ve most likely noticed me connecting with all of you in the morning on Friday and Saturday. That’s because in the afternoon and evening I’ve set a boundary for myself by setting my phone down for a few hours so that I can juggle all the hats I wear without getting burnt out as a mom, wife, boss, and friend, both online and off. The people in my life are very important to me, including you. So, I’ve been making a vast effort to ensure that when I’m wearing my mom hat I’m focused on being a mom and when I’m on a date I’m focused on my date with Steve. Setting your phone down for a few hours may be challenging to do, though I’ve found it’s really helped me connect with everyone on a weekly basis. It’s a simple change, but it’s a powerful one: it’s helped me really slow down and be present for everything. Still, we’ve got a busy schedule and I need to keep track of the time so that I fit in everyone and everything I love. Since making this change I’ve discovered a new-found appreciation for wearing a watch. 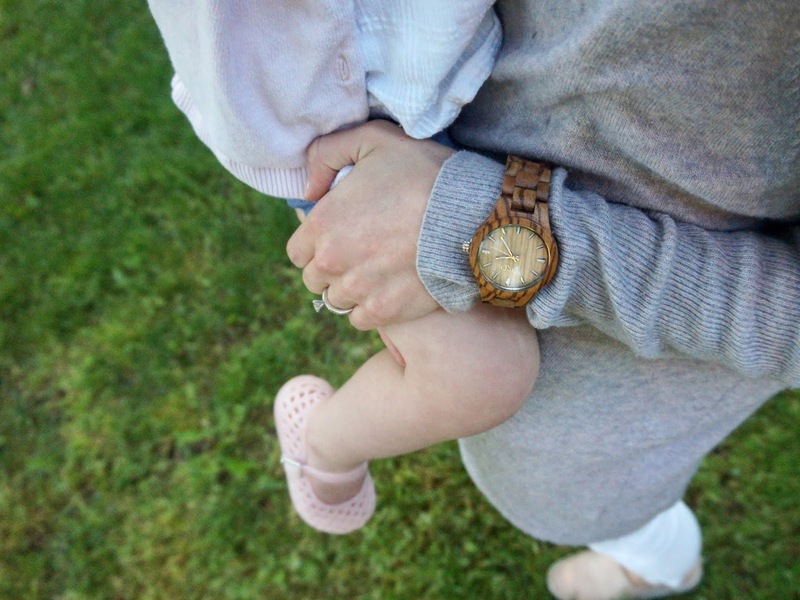 Although JORD provided me with the wooden watch, I’ve found it to be the perfect fit for my personal goal and mom lifestyle. If you’ve been reader for a while now, you know how much I love lists. 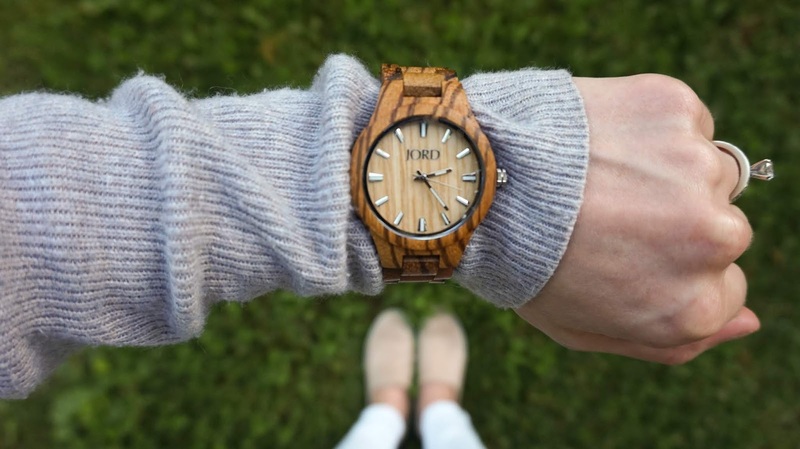 So, I decided to list why I particularly love the JORD brand wooden watch and how it has helped with my personal goal of being fully present on one thing at a time. This is my favorite design feature! Being a busy mom who is always on the go, I need something that’s flexible and comfortable. 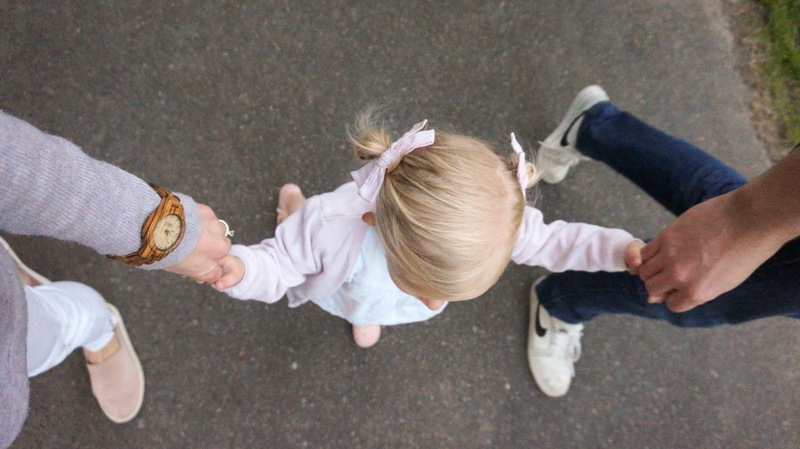 And I love how the band watch moves with my body—whether I’m holding Abby, her hand, pushing a grocery cart, cleaning, cooking, snapping photos or typing up blog posts, I forget it's even on. And when I’m not wearing my mom hat, I can comfortably wear the watch while teaching my dance classes or when I’m out for a date night. I treasure our date nights, so on a Saturday evening, you can bet my iPhone is stowed away! I tend to look for three characteristics when I buy clothes or accessories: Is it classy? Is it timeless? And is it quality? 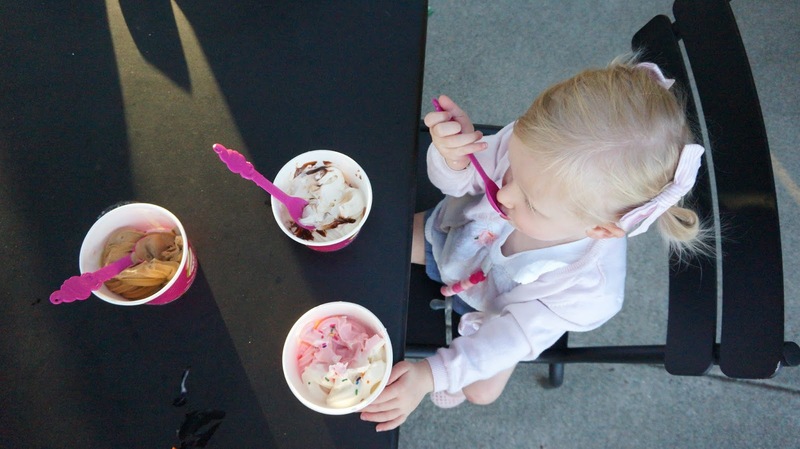 I mentioned in my post on my favorite finds for a girl toddler that quality trumps quantity for us in our household. We want to hold onto something for as long as we can without breaking the bank. 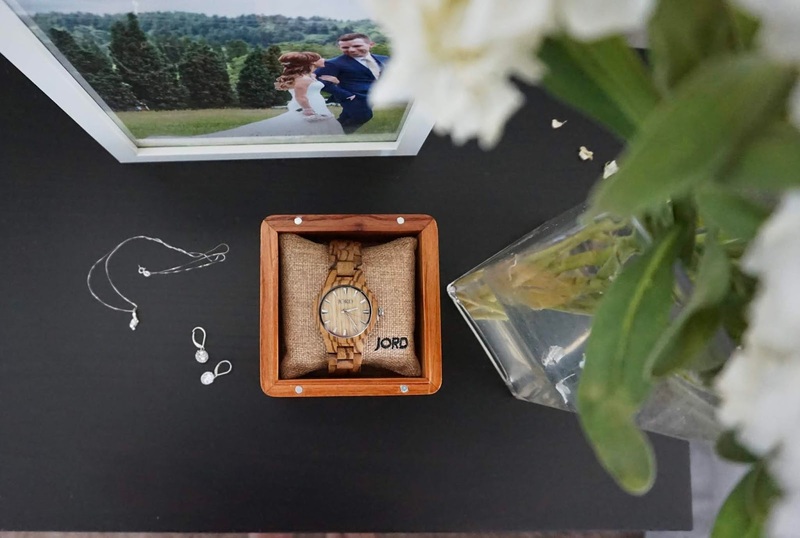 So, by checking off these three things with the JORD moveable wooden watch, it made the cut! The style I'm wearing can be found here although I'm tempted to get another, becuase I also really love this one too! Wearing a watch has really allowed me to easily disconnect and then plug into something else. We love our weekend afternoons and evenings, so by wearing one it has helped me completely swap my blogger hat in the morning for my mom/wife hat in the afternoon. I really love how this change has helped me be fully committed and present in both situations. Focusing on one thing at a time without distractions has been a major positive adjustment! I love how incredibly soft the wood is up against my skin even though pictured here, I'm wearing it on top of my favorite sweater for this particular family outing. I'm truly impressed because I had no idea a company could make a watch so comfortable. If you too feel as if your struggling to wear all the hats in your mom life (as I was a few weeks ago) and want to try this idea out for yourself , JORD and I have teamed up to give one lucky mama a $100 gift code to use on the JORD site! Everyone will receive a consolation code worth 10% off once the contest is over however, I'm keeping my fingers crossed for you!! To enter, go here. Contest runs Wednesday May 23rd to Sunday May 27th. This post was in collaboration with JORD, although all opinions expressed are 100% mine. Thank you for supporting the brands that support our blog!